Devoucoux luxury saddles and equipment provides the highest quality, durable, carefully designed tack to perfectly outfit your event horses. From a wide range of dressage saddles to fit your needs as a rider, to the ultimate in security in a jump saddle for stadium or cross country, they cover every aspect of your saddling needs. Tracey currently rides in a Devoucoux Mendia for the dressage on her horses, and could not be happier with their performance. 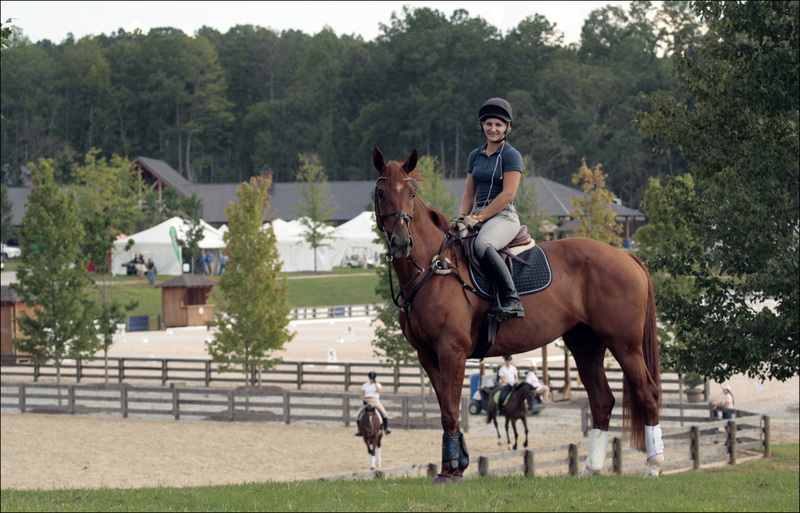 For the stadium and cross country phases, Tracey rides in the Chiberta for maximum security and comfort out on course. The horses backs are happy, and so is the rider! Top Rail Tack caters to eventers' needs at all of your favorite shows between Area 1 to Area 3! It carries key products for your best performance like Nupafeed, grooming and care products, safety products like TaggCode, boots and horse gear, and anything else you may need. You can find Joe and his team anywhere from New York, to Maryland and Virginia, to South Carolina and Florida. New for 2016, Top Rail Tack has a permanent location in eventing hub for Area 2, West Grove, PA.
Buckeye Nutrition has excellent quality feeds focused on the best possible health of your best friend. Their feeds are 100% traceable ingredients, contain highly digestible and highly usable products to be a safe and highly efficient feed. Their formulations have a variety of options to fit your program's needs. Their emphasis on gut health and optimal energy levels provided in their feeds are backed by science, and shown by the condition and performance of the horses. 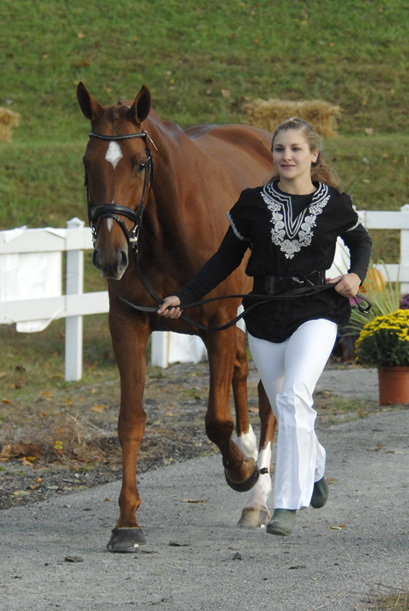 Sagmae is a carrier of many fine brands of equestrian products, geared toward top level performance. Vincent Eddhari does an excellent job of knowing what rider and horse need to be outfitted for best performance. Dy'on, Lorenzini, Butet, and Erreplus are some of the fine brands carried. Tracey rides in the Dy'on dressage collection bridle, which fits just perfectly for comfort for the horse, and looks just stunning with iridescent accents in the browband. UVEX is a top class company producing safety products for riders across the world. Their helmets are comfortable, adjustable, washable, and of course SAFE! In addition to helmets for equestrians, they also carry great gloves for a safe grip, and high quality glasses for sport or style. They have helmets and gloves to fit any style you like, for schooling or show, from dressage to hacking to cross country! Pad Perfect Pads provide a fabulous looking custom pad with all the great benefits of a high quality, carefully designed item for your horses comfort. They are produced with superior poly-fill and carefully stitched to hold their shape and not condense as you ride. Unlike other poly-fill pads, these pads provide a wither relief area without filling to sit comfortably up into the gullet of your saddle. While these pads already don't slip due to their design, just to be safe they also have a billet strap, and they can also be designed double sided! I am currently seeking sponsorship to aid in the heavy costs of competing at the upper levels of eventing on multiple horses. If you are interested in any form of support for my passion and career, please contact me directly at tracey@tabeventing.com. • Donations to Tracey are tax deductible through the AHTF • Donations are 100% tax deductible according to IRS Code Section 501(c)(3). The American Horse Trials Foundation was established in 1987 to assist 3-Day Event Riders and Organizers in raising tax deductible financial support for national and international competition. By donating to the American Horse Trials Foundation through me, you are helping my horses and myself accomplish our dreams and fulfill our potential. Please contact me, or visit the AHTF website to learn more about this opportunity!